Today’s finance executives strike a difficult balance. Contending with unprecedented technological disruption, fluctuating GDP growth and trade conditions, and an uncertain regulatory landscape, they must deliver against expectations for improved growth and shareholder value while managing costs, risks, quality of earnings and compliance. 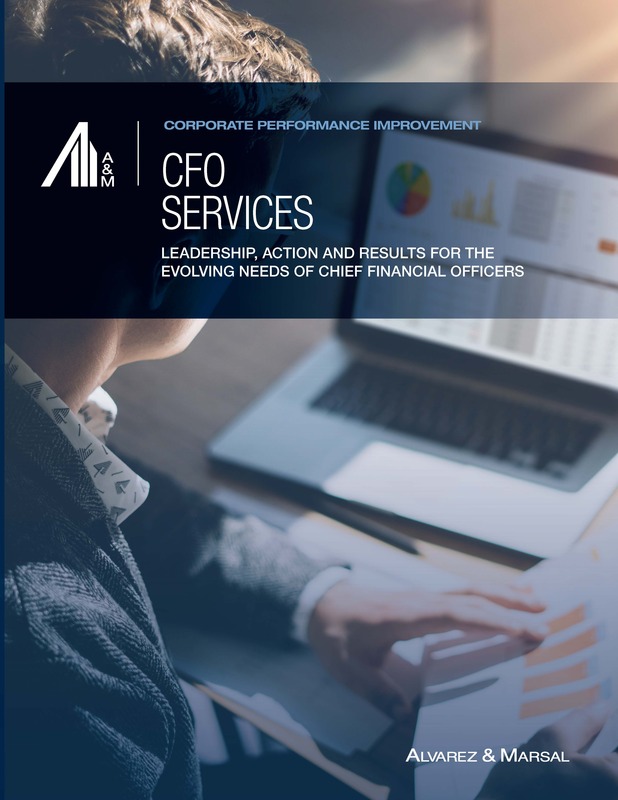 In this complex and intensely competitive market, Alvarez & Marsal (A&M) provides Chief Financial Officers (CFOs) with leadership, action and results for their evolving needs.